Sounds interesting...have you got any pictures of him? 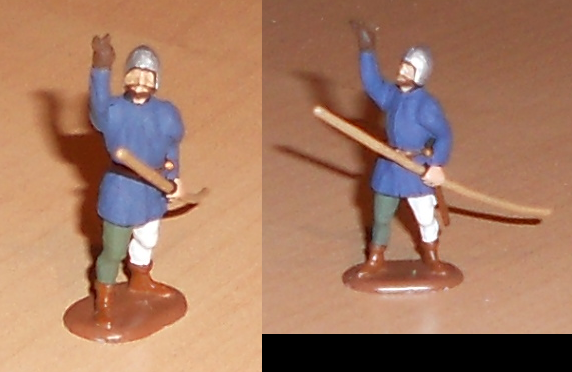 Very nice conversion, historically I think that the archers showed their bowfingers like a V, and that is why the French did cut of their fingers when they took archers as prisoners. Here he is...paintjob istn´t really finished, the highlights are missing. The original figure was the hornist from Zvezda´s 100YW french infantry. I don´t like his fingers and the left shoulder is too big. I´ve finished a little conversion. The Comte de Sancerre. 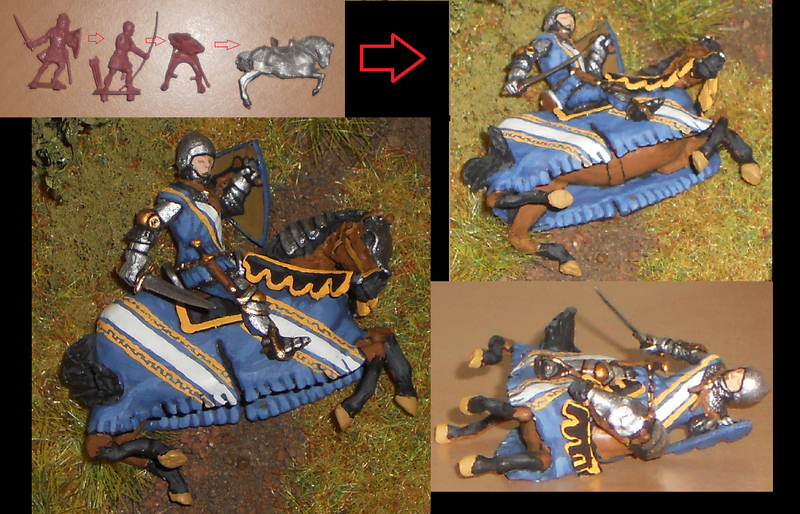 Horse is from Valdemar, the knight is made of three different Zvezda figs. For the conversion I used "A+B modelling putty" and some greenstuff. Very nice conversion and really love the way you have shown the pieces. Also the painting is good, if you added some more shade and dirt the heraldic work would be top!